Andrew York has been involved in several GRAMMY winning projects. Andrew played guitar with Altanta Symphony for Deutsche Grammophone recording of Osvaldo Golijov’s “Ainadamar.” This recording won two GRAMMYS, for Best Contemporary Composition and Best Opera Recording. Andrew’s composition “Andecy” featured on Sharon Isbin’s recording “Journey to the New World”, which won a GRAMMY for Best Instrumental Soloist. 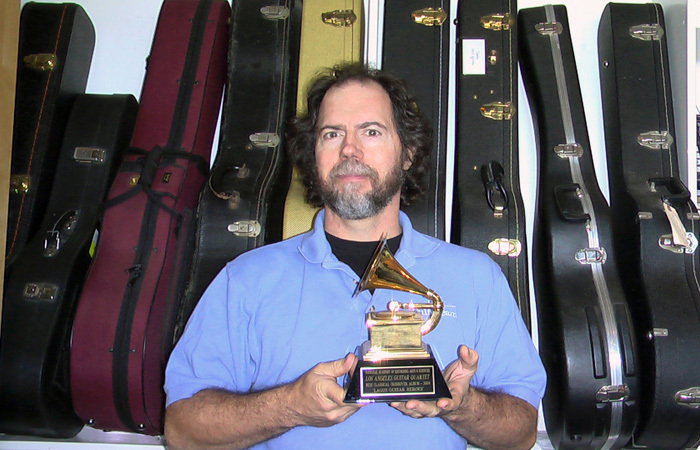 Andrew’s composition “Sunburst” featured on Jason Vieaux’s recording “Play”, which won a GRAMMY for Best Classical Instrumental Solo. Andrew accepted as voting member of the Recording Academy.